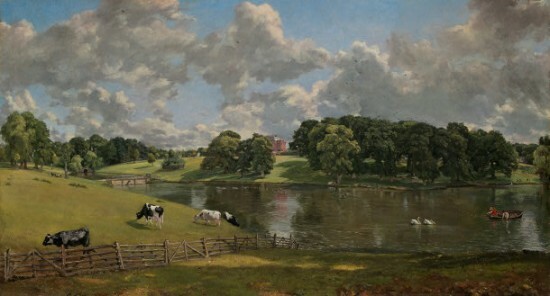 “No two days are alike, nor even two hours; neither was there ever two leaves of tree alike since the creation of the world.” So said John Constable (1776 – 1837), regarded by many as England’s greatest landscape painter. 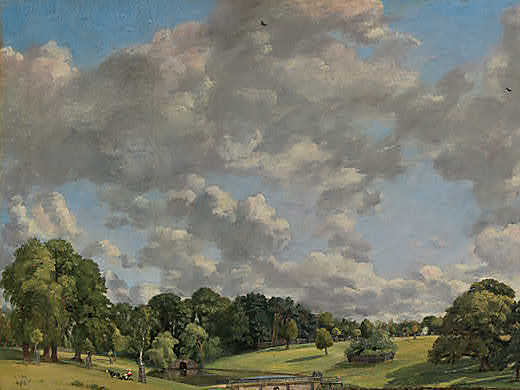 His work Wivenhoe Park, Essex (1816) at the National Gallery of Art vibrates with the verdant essence of the countryside. Constable’s studies, sketchbooks and paintings all reveal the profound connection he felt to the landscapes of his native Suffolk and the surrounding counties. 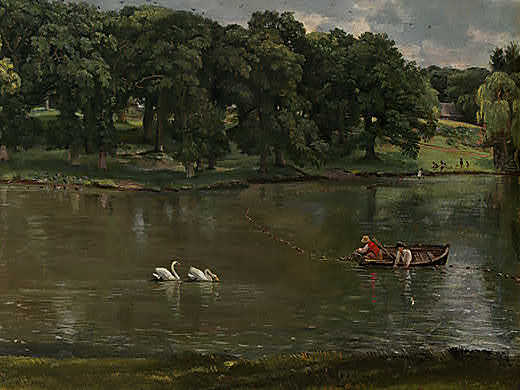 Wivenhoe Park, Essex was commissioned by the owner of the estate, Major General Francis Slater-Rebow, who’d been a friend of Constable’s father and was the artist’s first important patron. The work, done in oil on canvas, conveys how Constable was keen to capture particular sensations created by nature. He used brushwork to this end: look to the vigorous strokes on the water, that whip the paint into a reflecting pool. 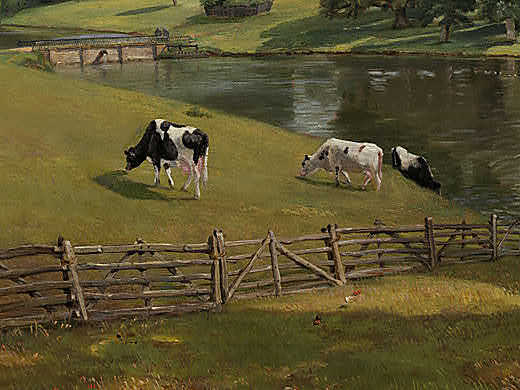 Elsewhere, the precision of the brush clarifies small details, such as the cows and people, for example. The colors also add to the immediacy: white dashes on the clouds flash sunlight through the sky, and the dappled dark-to-light green ground brings in the breath of a breeze. It’s odd to think, looking at this rural idyll, that Constable struggled hard to gain success. His father and his wife’s family disapproved of his career choice and official recognition in English art circles was slow in coming. Contemporary commentators deemed his paintings to be lacking in the picturesque and said they looked rough and unfinished of surface. People also preferred not to see the working mills, barges, and busy canalized rivers that Constable often inserted in his scenes. Now of course, this artist is seen for the master he was and the harmony and poetry of his natural settings are much admired. And it seems these are the days to take time for this sort of scene, since there’s a sinister new trend that’s trying to wend its way into our lives, where nature’s concerned. 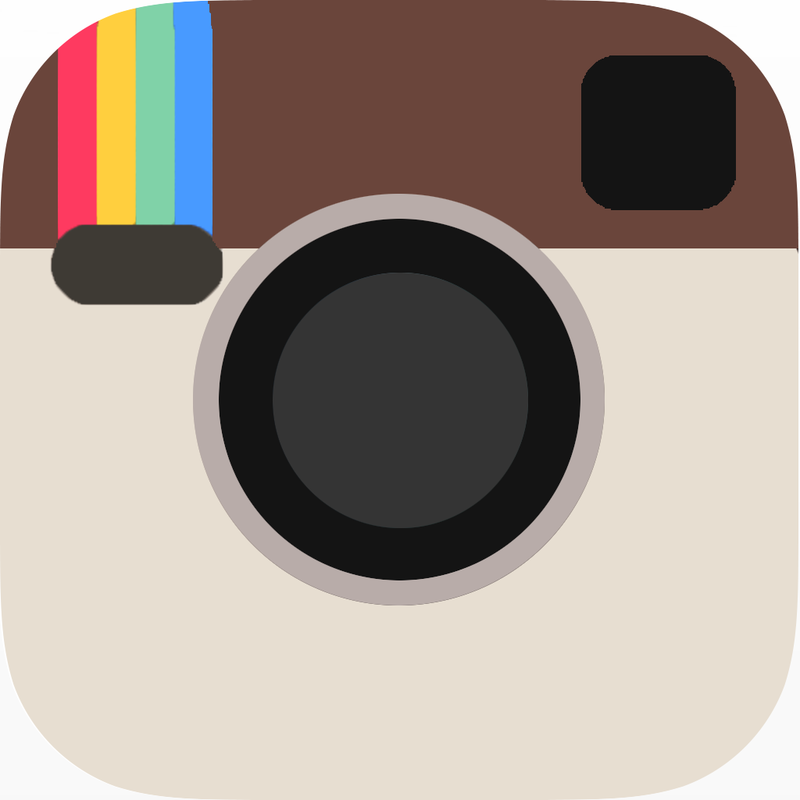 It was a few years ago that the term Nature Deficit Disorder was coined by Richard Louv, in his book Last Child in the Woods. After spending 10 years traveling around the US speaking to parents and children in rural and urban areas about their experiences in nature, Louv claimed that children are spending less time outdoors. 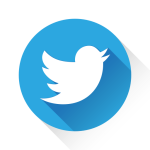 The diverse causes for the phenomenon (parental fear, restricted access to natural areas and the lure of the electronic media) all lead to a range of behavioral problems. Many people believe that humans have a strong link to nature (the biophilia hypothesis suggests that there is an instinctive bond between us and other living systems), so it seems logical that spending time outside is beneficial for children and adults alike. Lots of school curricula incorporate structured learning outdoors and some parents even opt to send their children to “Forest Schools”, where the woods are used as a means to build independence and self-esteem. And how interesting also that “Slow Parenting” advocates sending children into natural environments rather than keeping them indoors. Constable can be an inspiration for us if we’re living nature-starved lives. Here’s a painter who saw meandering meadows, sparkling waters, plodding cows and fluffed-up clouds as being inherently as lovely as anything the human heart could desire. The two small figures in the boat in this picture seem to promote the right kind of respect and wonder for their surroundings. Who knew that a painting made years ago could still speak so freshly of the need to go and explore our connection with nature?